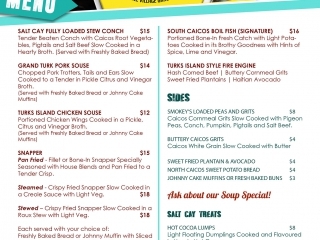 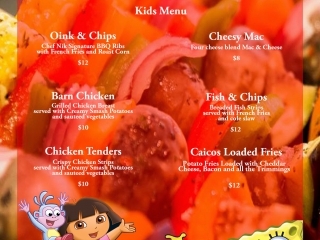 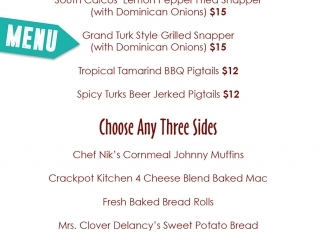 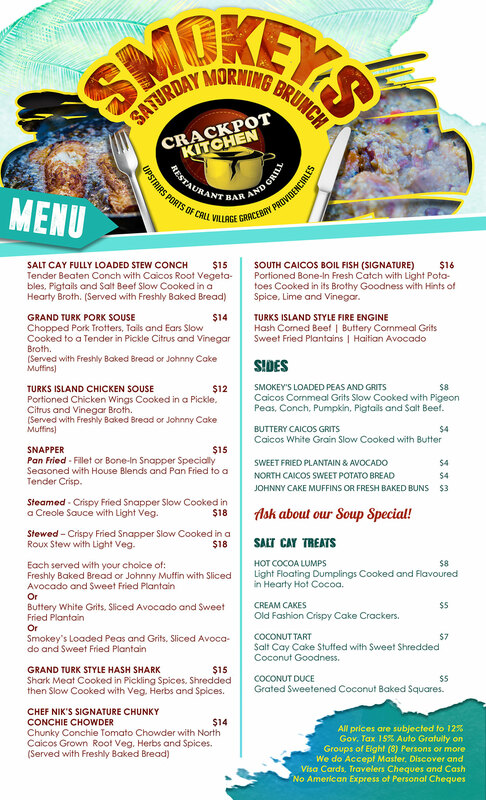 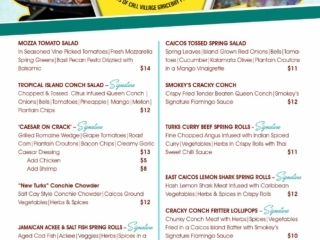 If you’re looking to experience the best in Turks and Caicos Islands / Caribbean cuisines with an international twist, then look no further than Crackpot Kitchen Restaurant, Bar & Grill. 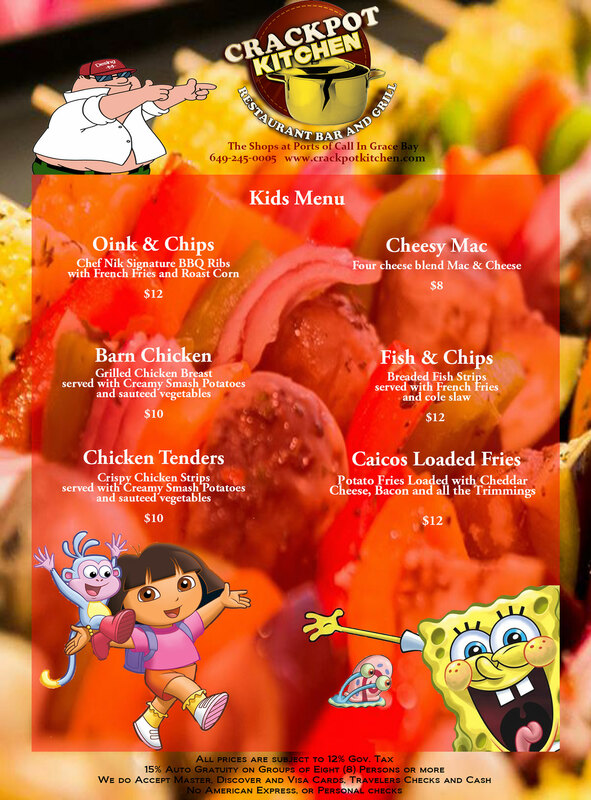 Monday through Fridays from 11:30am - 3:00pm (Closed on Thursdays). 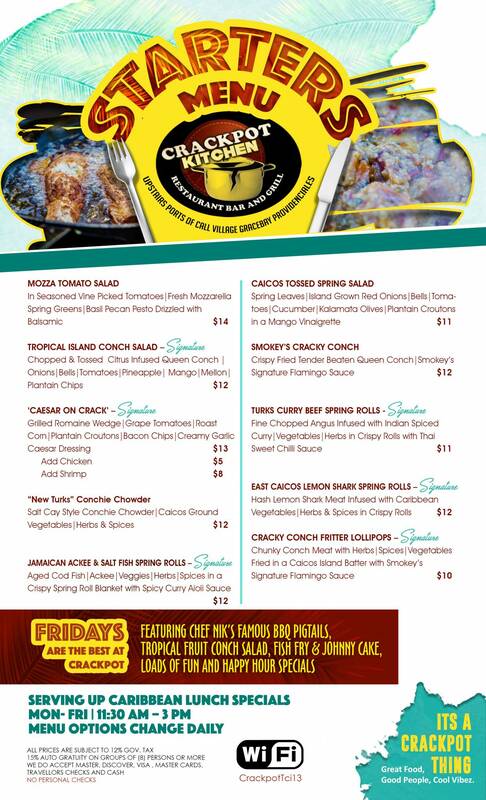 Lunch Menu Options Change Daily. 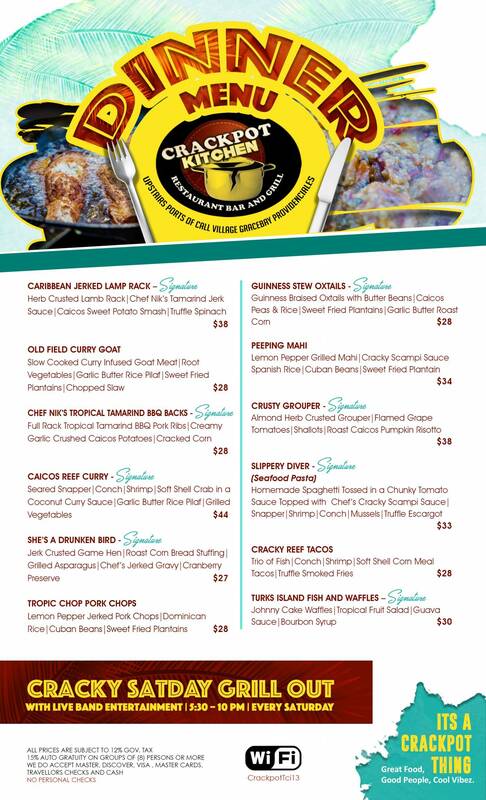 Join us Fridays – Tuesdays from 5 - 7pm and on Wednesdays (Hump Day) 5 - 9pm where the 2-4-1 prices and flavours of our Cracky Hour Happy Hour Specials will Blow-Your-Mind! 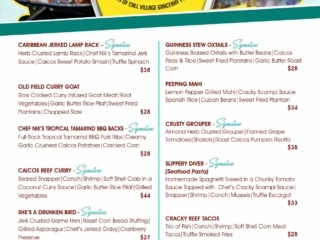 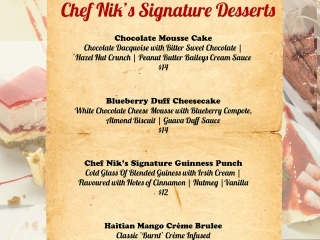 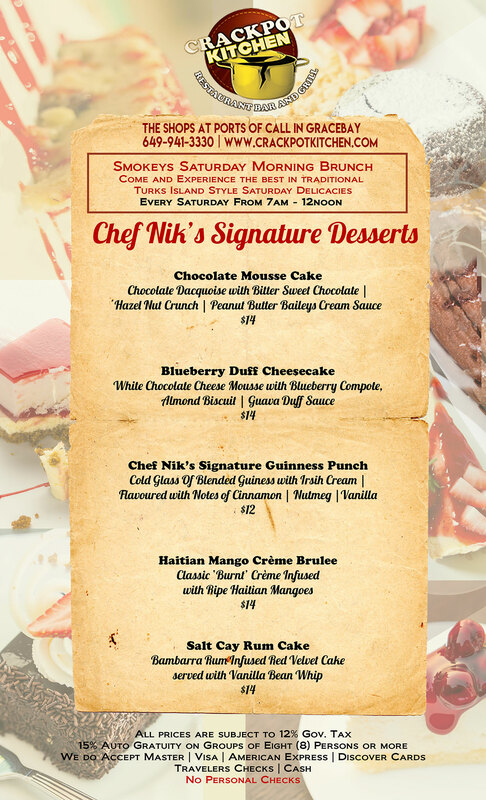 CHECK OUT OUR MENUS BELOW, CLICK TO VIEW IN FULLSCREEN.